This Saturday, March 31, 2018, consider visiting this Community Bazaar being headed by the Lao Disabled Women's Development Center, near the Friendship Bridge in Vientiane. 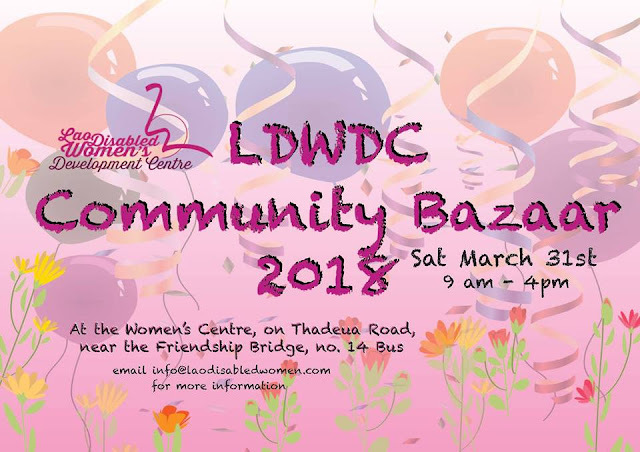 Not only will there be stalls and booths selling goods, there will also be stage shows, dances and bands, handicraft and paper making workshops, and a petanque and badminton tournament. To find out more, click over to their Facebook Page.